“scream rooms” and shock therapy being used on Autistic children: Do you know what your school’s doing? What equates a torture device? Something that makes someone go crazy? I’ve come upon two organizations in the last few months who use torture to get what they want (and really in the end they aren’t getting what they want). You may think this doesn’t happen any more, it’s 2014 for goodness sake. Well, that’s what I say, except, it is real, and although we feel we’re such a progressive society, there still exists this idea that you can somehow work the Autism out of a person. What if your child was confined in this? 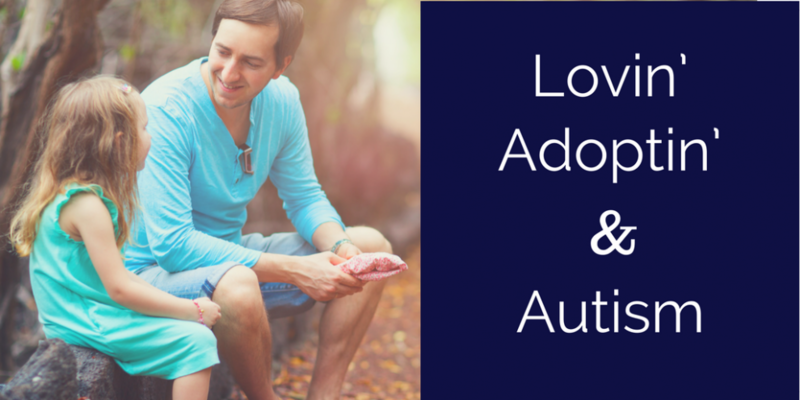 I hope if you’re a parent of Autism you continue to read this, so you can be aware and advocate for your child. 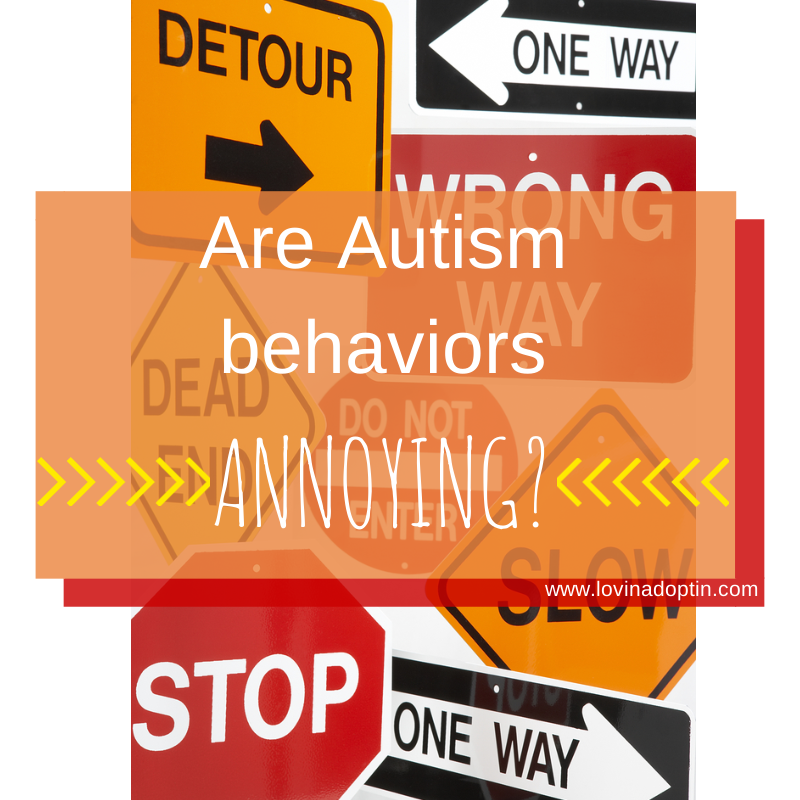 If you’re not a parent of Autism, I hope you read on because we need you to be another voice for our children, our teens, and adults who aren’t being treated as “typical” human beings. 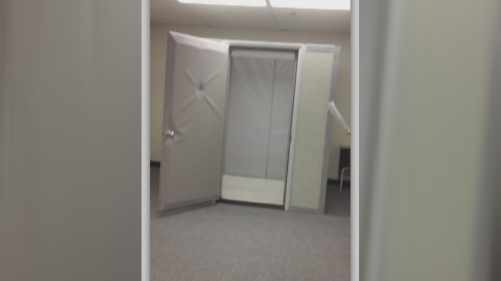 The photo above was the latest shock, a “scream room” in the Deer Valley public school district in Phoenix, AZ. I was livid when I saw the photo and read the article. A padded, completely closed-off cell in a public school? My blood boiled, feeling angry, scared for the children who must have been frightened out of their minds when placed in an isolated space. I’m claustrophobic, and being in there would drive me absolutely nuts, and it would be a million times worse for an Autistic child. I can’t even wrap my mind around it. Just for some perspective, we used to put Jeremiah in his room when he was having a really difficult time. He was able to calm down in his space. I hadn’t put him in there in a while, but he was having behaviors I couldn’t handle, so I wanted him to calm and settle in his room. This time it wasn’t the same. We’ve done it twice and won’t do it again. Why? He was in there less than three minutes and he went out of his mind both times. He screams often, happy screams, screams when he’s mad, but this was a whole new level, he was furious. He screamed up to the moment I opened his door, then he shut himself off from the world, this faraway look in his eyes. Some with special needs may have this look, but Jeremiah doesn’t, so it scared me. I held him, but he climbed out of my arms and just sat there on the couch, staring. Why did I even do it a second time? I’m human. I wish I wasn’t. If being in his room with toys, windows, a comfortable bed affected Jeremiah so negatively when he was in a disregulated state, what would it be like for an Autistic child to be placed in a “scream room”? A process for prior written parental consent before confinement is allowed for any pupil in the school district. I’m not a professional at reading senate bills, but it seems to me that no criteria has been put in place, except that parental consent is required. The bill does not define the amount of time a child can be confined, nor the size of room the child can be restrained in. Autistic children hit themselves, pick at their bodies, pull their hair. This is called self-injurious behavior. This is cause for confinement under the house bill in Arizona. I found another explanation of the house bill here, which explains the school has permission to use confinement if the child poses harm to himself or others, even if a parent has NOT given prior consent. The administration then needs to notify the parents the day the confinement takes place. In my opinion, which I stand strongly on, the use of a secluded room is unacceptable, it’s a cruel punishment that should never be implemented. Never. The report also mentions the case of eight-year-old girl, who has “attention and hyperactivity disorders” from Minnesota who was closed in a room alone forty-four times in one year. This took place in spite of her parents and behavior consultant opposing the strategy. A dismal eighteen states require parental notification when a child has been restrained in a school setting. This video was released in 2012 of a teen boy named Andre, being shocked thirty-one times at the Judge Rotenburg Center (JRC) for developmentally disabled students. WARNING: This video is graphic, it may be disturbing to some and is not suitable for all audiences. Why did the staff use shock therapy on Andre? Because he wouldn’t take his coat off. He had to wear someone else’s clothes that day, and was embarrassed, therefore insisted on wearing his coat, which the staff did not approve of. This “situation” took place in 2002, and went to trial in 2012. I’m shocked, literally pained, and appalled by all of this. If this is happening in one school district or “center” it’s taking place in others. These are not isolated instances. One message we should get from this is strong and clear, we have to constantly be advocates for our children, teens, and adults if they move on to day camps or other living arrangements. Whether it be at school, church, a therapy office, or daycare, we have to be aware of what’s being done to those with Autism. 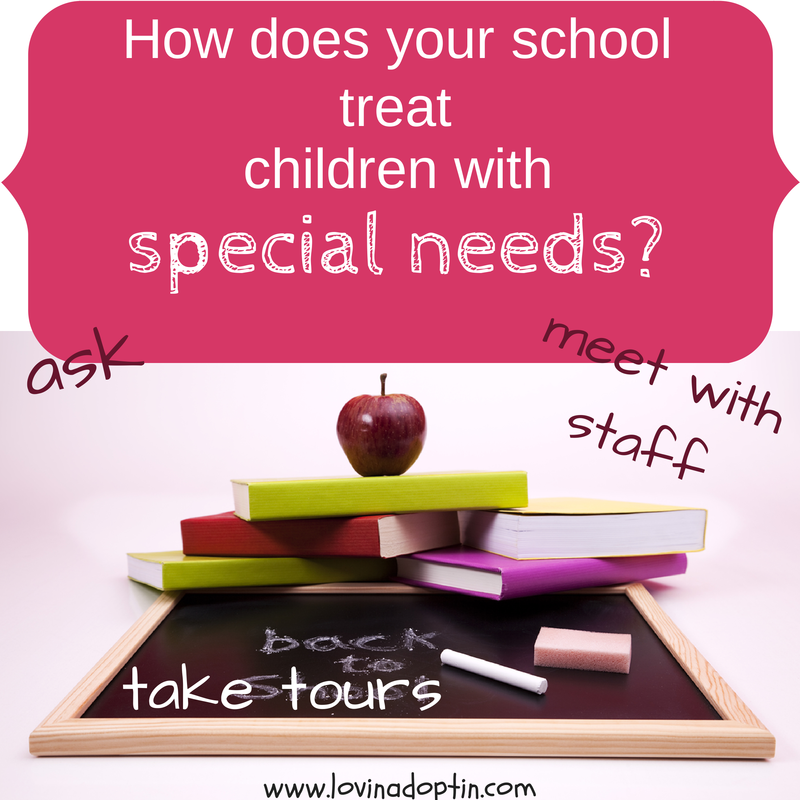 Don’t just call or email your school and ask if they use isolation rooms, scream rooms, or if they seclude children with special needs, take a tour of the school while children are in class. Ask questions. 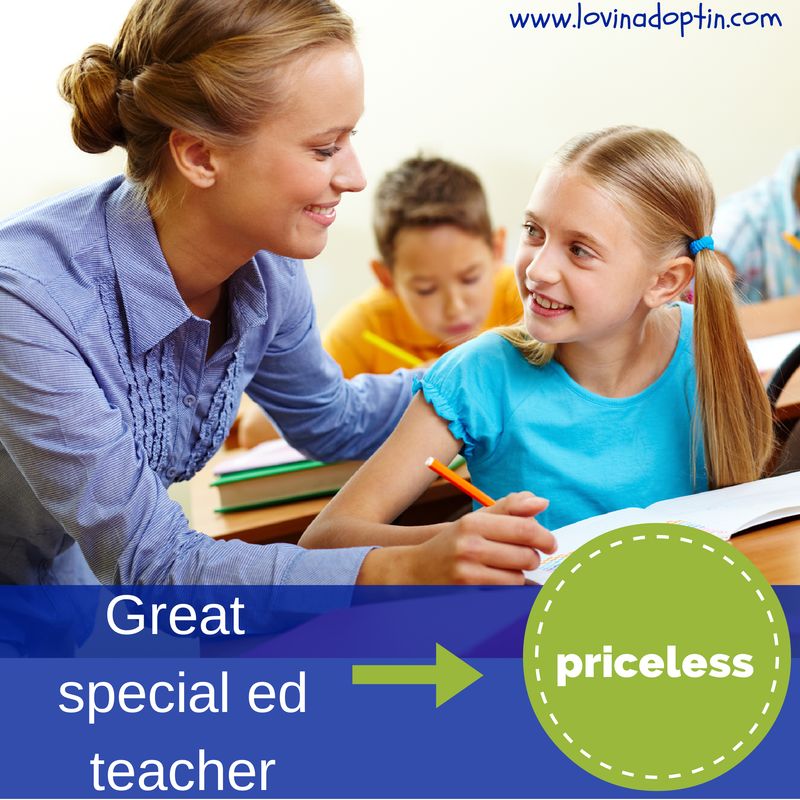 Talk with other parents of special needs children. Emails and phone calls won’t get you answers, you need to be present. Pick your child up sometimes, don’t only rely on the bus system. Talk with teachers, paraprofessionals, and aides. Know what everyone is doing with your child. In response to these atrocities being used on people with special needs, some say, “But it worked for my child,” “It worked for me,” or “I work with the special needs population and I’ve seen it make a difference.” I say for everyone it did help, it harmed several more. The question should be asked, “Would you do this with a typical child [or person]?” This question was brought to my attention by Heidi Lostracco on Speak for Yourself. 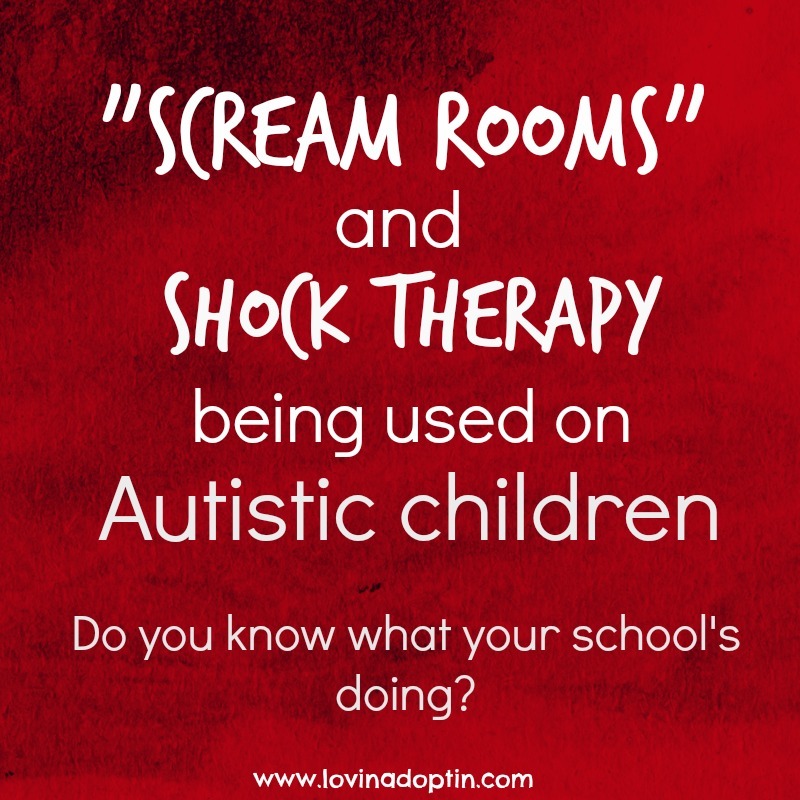 I think the answer in these cases, with both “scream rooms” and shock therapy, would be a resounding, “NO!” And if it’s not okay for a typical child, it’s not okay for a child with special needs of any kind. Please share this with others so everyone can be aware of what’s happening to children with special needs. They don’t have a voice, but you do. What do you think of the implementation of “scream rooms”? What would you do if you found one in your child’s school? Would not signing a consent form be enough to ease your mind that your child wouldn’t be placed in one? You can receive every post made to Lovin’ Adoptin’ by subscribing in the upper right corner. If you are using a mobile device, this can be found on the web version. You can also follow me on Facebook, Twitter, and Pinterest for more helpful information and links. When I came across this wonderful explanation of what happens when you take your Autistic child to the doctor, I had tears (from laughter) springing from my eyes. Although the reasons she wrote this aren’t worth chuckling about, it happens to many of us on this Autism journey, and how she portrays her experience is just laugh worthy. So enjoy. Have you had a similar experience with your child in a doctors office or hospital? 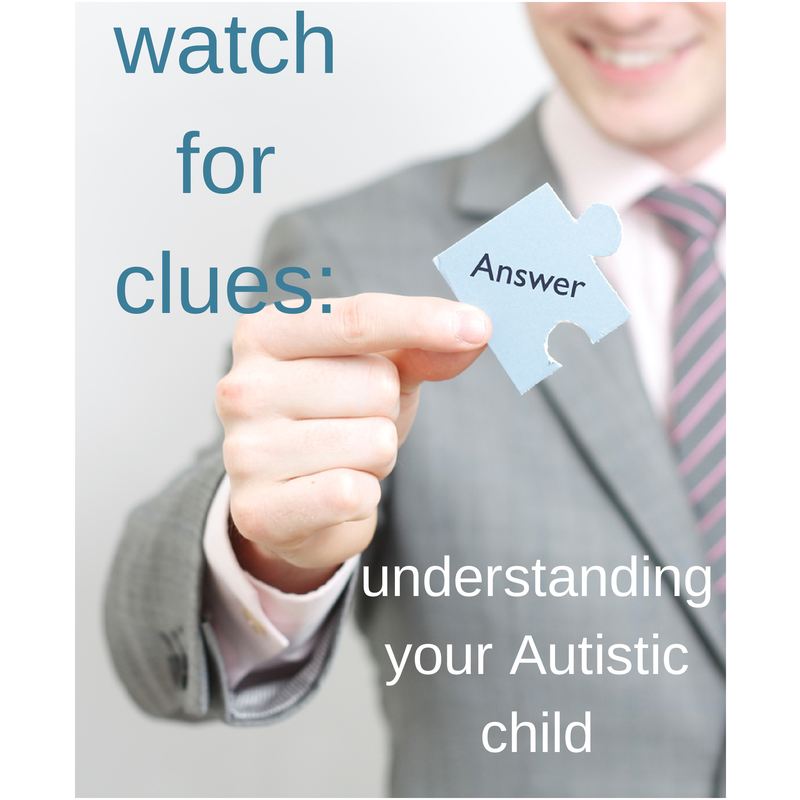 Why do you think it is that those who diagnose our child, or those who are in the medical field sometimes know less about Autism than we, the parents, do? I hate that doctor’s offices make me cry. Whether the doctor is delivering good news or bad news, before the appointment is over I am a ball of ugly crying in the corner. My son finally had his 4 year well child check up. He is well over halfway through the age of four, but finally we have our appointment. Jeremiah saw his pajamas laying on our bed, grabbed them and brought them to me. Someone who doesn’t know him or doesn’t spend time learning about him might say, “Oh, he wants to go to bed.” Another person might not have a clue what Jeremiah is doing, so they take his pjs and put them on the couch or away in a drawer. 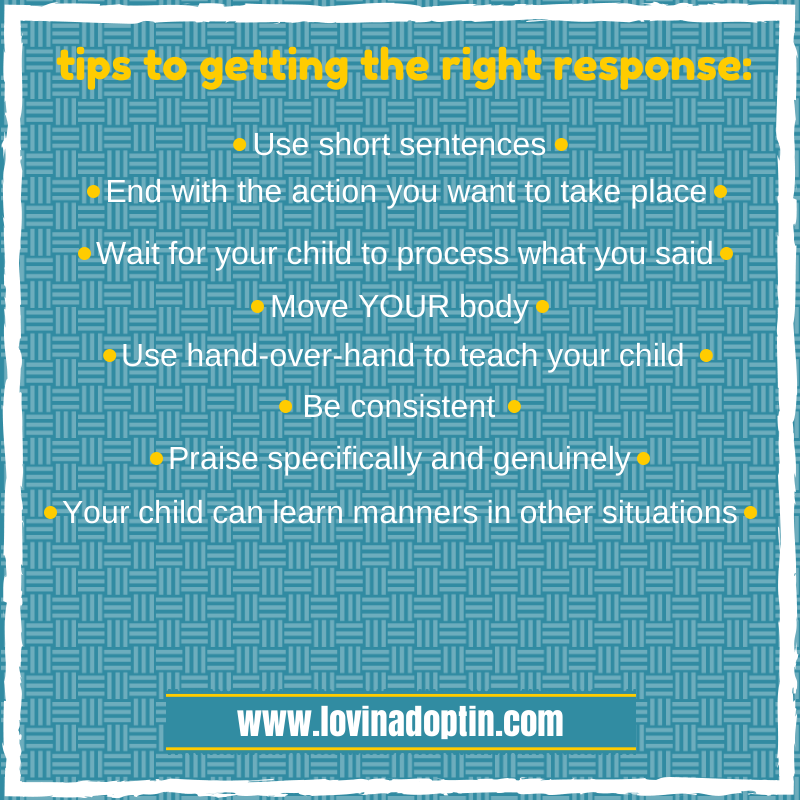 Most parents know their kids and can read their cues, they know when they’re tired, hungry, want (or need) to go outside, but when your child is nonverbal the cues can be misconstrued. In giving me his pjs, Jeremiah was communicating he wanted them on. He likes the comfort they give him, warm and soft, but it was also getting close to bedtime and routine is very important to him. Was he ready for bed? Probably not, but he knew what came next in his routine. 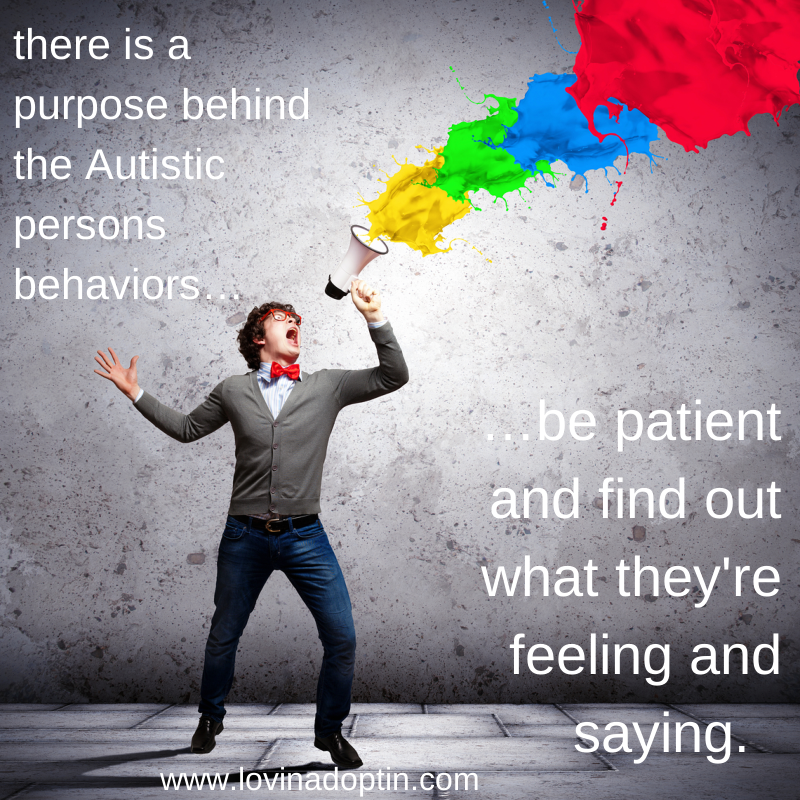 Living in a nonverbal world, unable to communicate those desires, needs, feelings, and opinions can be extremely frustrating. 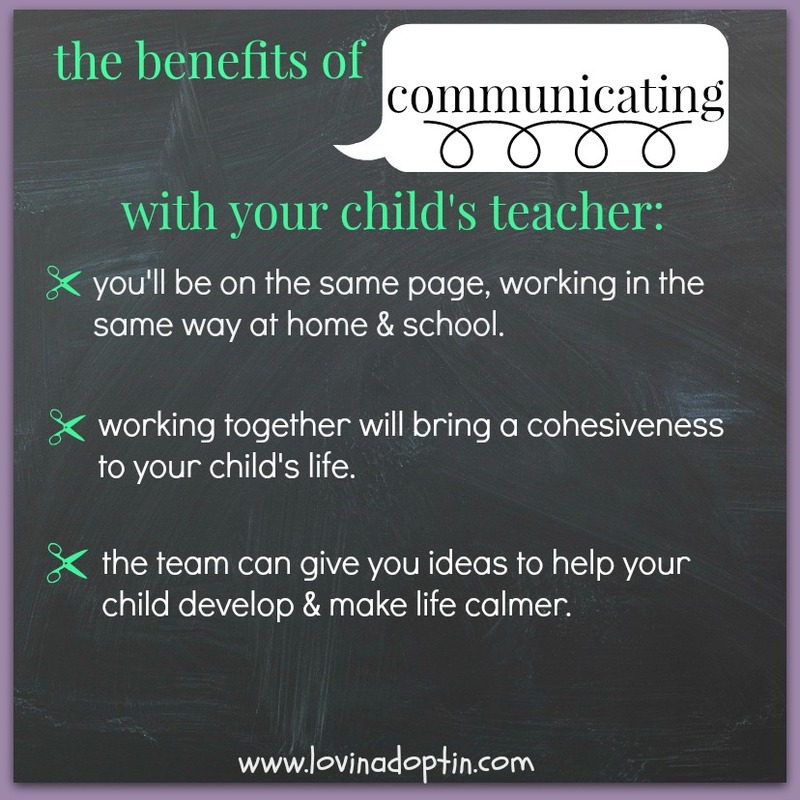 As a child’s parent, care giver, teacher, or therapist we need to do our best to understand what that child is communicating. When Justin runs the water to give the kids a shower, Jeremiah walks into the bathroom and backs up to Justin, who is sitting on the edge of the tub. Jeremiah wants Dad to take his clothes off so he can get in the shower. Someone who isn’t aware of Jeremiah’s routines may have no idea what he wants. You might have an Autistic child who’s intensely frightened of showers. Oh, that used to be Jeremiah, he went through a long phase of despising them. Whenever we turned the water on in the bathtub, he would cry and get so upset. It honestly took us a little while to connect the two, no point in mentioning exactly how long, it’s kind of embarrassing and why I’m writing this post. If a parent (clearing throat, us) wasn’t paying attention, they may not know why he was crying. Jeremiah recently discovered he loves oranges. Yeah, kind of strange for a kid who has Sensory Processing Disorder and is extremely picky about the texture and taste of food. 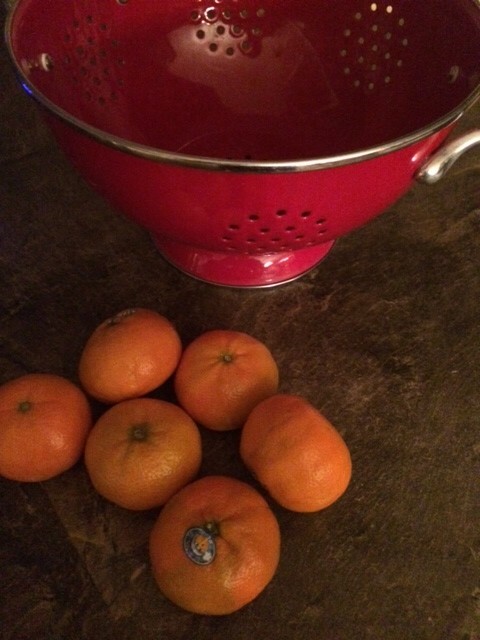 We give him as many oranges as he wants, but one day we got busy, as every family does, and when we went in the kitchen, we found this: In his own nonverbal way he was saying quite clearly, “I would like some oranges people.” Yeah, we got it. A little late. Someone else might think he was only lining up the orange balls, because why in the world would a child who has Autism eat an orange??? One cool spring day, Jeremiah brought me his PECS picture to indicate he wanted to go outside, but he wasn’t able to. It was cold after some warm spring days, I had things to do inside and couldn’t go out with him. He was frustrated. He brought me the PECS picture again, and I said, “Not now, it’s too cold.” I put the picture on the counter, not on it’s usual velcro spot on the door to indicate, no really, I mean it, we’re not going outside. He then brought me his snack PECS picture. Okay, I was working, and would get it in like twenty seconds, but anyone who has a nonverbal Autistic child knows that twenty seconds is an eternity to that kiddo. I placed the snack PECS picture beside me on the desk and kindly asked him to wait. He put it in front of my face again and I said, “Wait.” He gave up and left, I soon followed and walked by the back door, the door to the backyard. There by the door lay both his PECS pictures for his snack and “outside”. I got his snack out, handed it to him, and he stood by the door. Mama got it. I also abandoned my project of the moment and allowed him to go outside. His smile was priceless. That smile when the ones he relies on most in his world “get it”. That feeling that he’s understood, heard, and cared for because he got what he really wanted. It’s so important to be aware of your child as much as possible. There will be times when you aren’t attentive to their movements and expressions, but when you can, it will teach you so much about your child. Give your child opportunities to engage in activities or eat foods you wouldn’t expect them too. Last fall, Jeremiah watched as his sister ate her almonds. Up to that point his diet consisted of gold-fish crackers, occasional fresh raspberries, and had just added gluten-free pancakes packed with supplements. I saw how interested he was so I placed a couple almonds in front of him, and HE ATE THEM, and more! Oh jeez, can you say breakthrough? Can you say excited?? People really have no idea how exciting our Autism lives can be. Thrilling when your child eats a new food, looks at a new toy, or gives someone a hug, or simply looks someone in the eyes. If I hadn’t been paying attention, I would have missed a huge opportunity. Because Jeremiah was attentive to new foods, Justin saw him staring at some cheese on his plate, so he give him a Jeremiah-sized handful. Well, Jeremiah’s allergic to cheese, and we knew this. It causes so many issues with him, including, but not limited to, him losing skills when he eats it. Oh, I wasn’t happy, not one of those proud Mommy moments. In the days that followed we (and Jeremiah) paid dearly for that small handful of cheese. I couldn’t keep quiet about it, so I mentioned it to Justin again, asking why he gave it to him. He gave an answer I really had to contemplate and is really a basis for part of this post. Justin said, “He was so interested in the cheese and I want him to be interested in other foods, so I gave it to him.” Then it made sense to me. I asked that he agree to NOT give Jeremiah cheese again, but that we would pay extra attention to foods he showed any interest in. Another is boiled eggs. Yeah, really plain and weird texture. At first he just played with them. Our response was to keep them away from him because he would pop half of it in his mouth, pop it back out and place it back on our plate. One day Justin jumped at it, sliced that sucker up and Jeremiah ate it! Woo hoo!! He’s been eating them since. It’s good to step a little out of “normal” sometimes. Life can become so routine, we don’t try new things, they eat the same food, we aren’t able to go many places. I encourage you (this is even a post for myself) to try. Go. Do. Stretch yourself and your child a little. Don’t make them completely uncomfortable, but you can try taking them to the park, giving them a new food (with warning), or play with a new toy alongside them. You never know, maybe, just maybe. If someone had told me a few months ago that Jeremiah would be eating eggs, oranges, and almonds today, I would’ve said they were crazy. They wouldn’t have been. 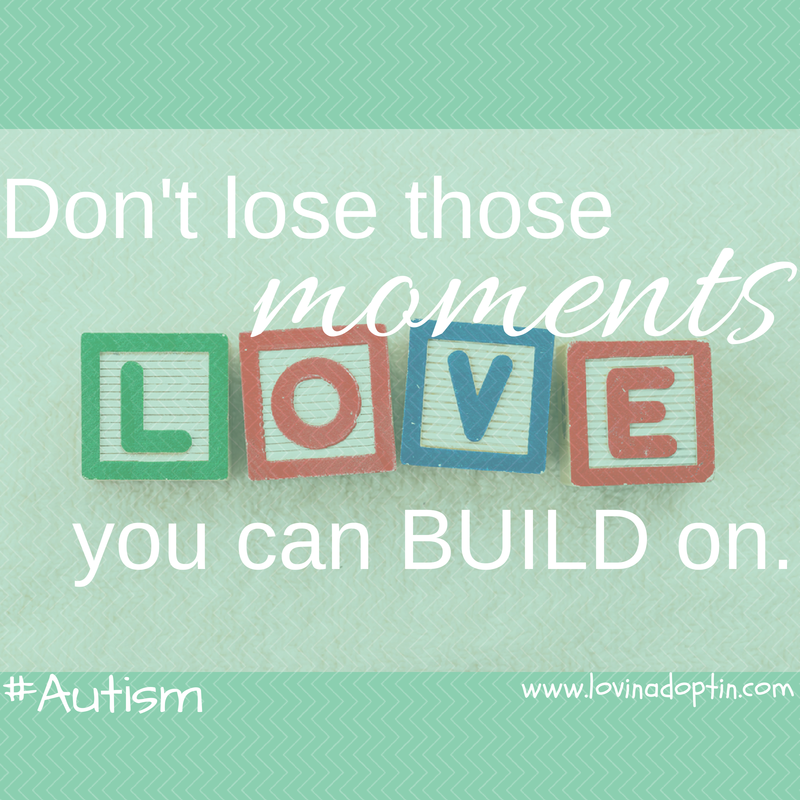 But, if we hadn’t paid attention, and if we don’t continue to, we would lose those moments we could build on. 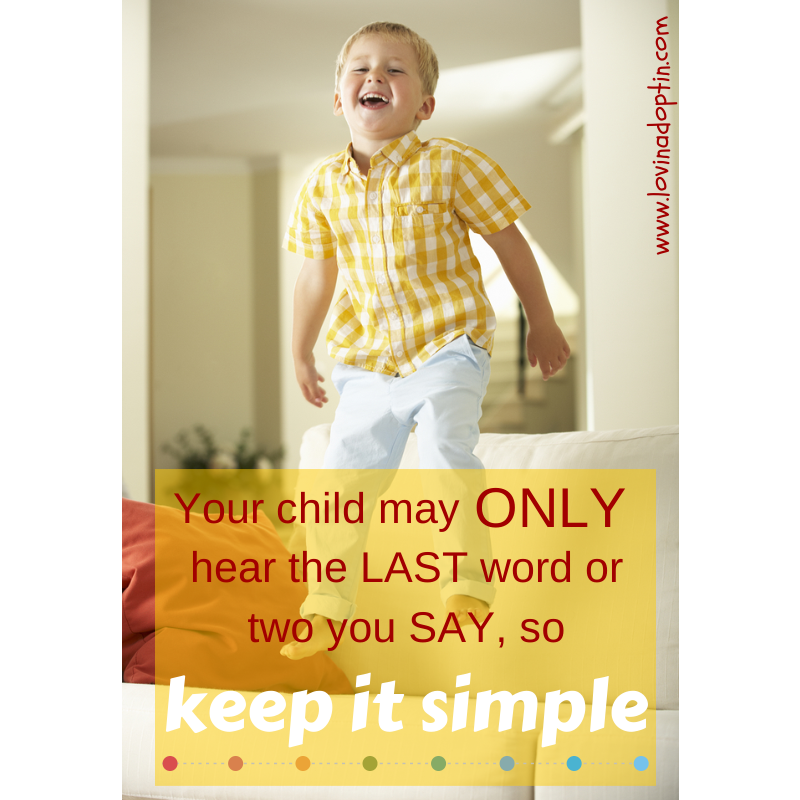 Are there things your child does that you don’t think someone else would understand? 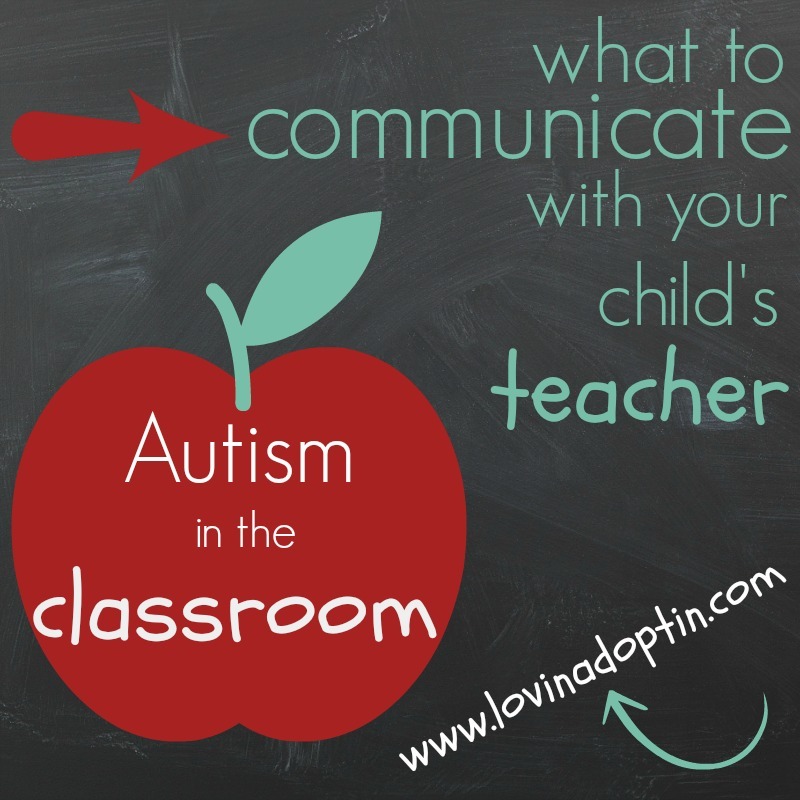 If your child is nonverbal how do they communicate with you? 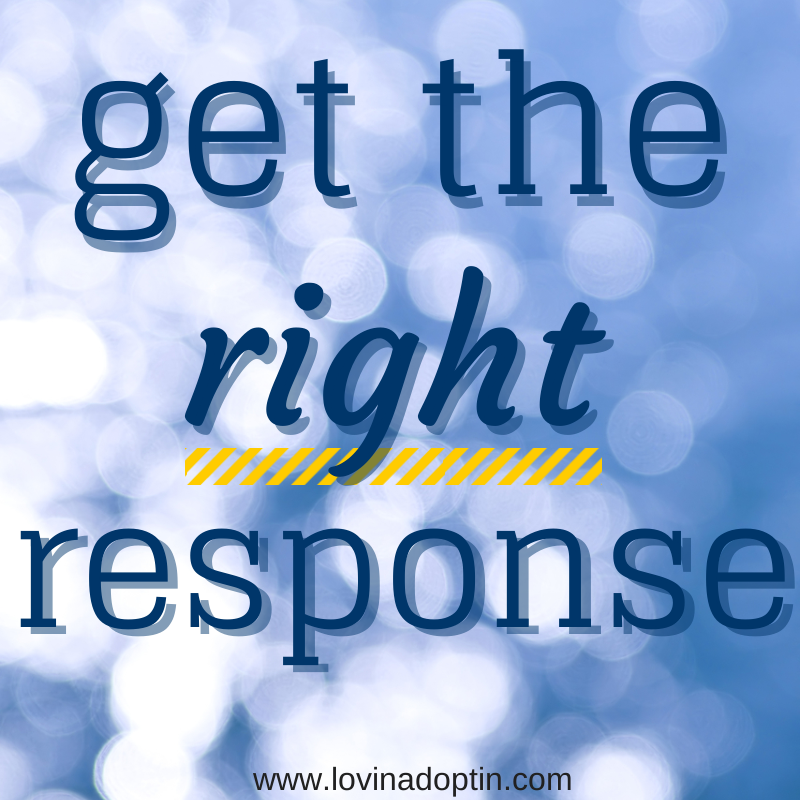 Do they use gestures or take you to what they need? You can receive every post made to Lovin’ Adoptin’ in the upper right corner. If you’re on a mobile device, you can do this on the web version. 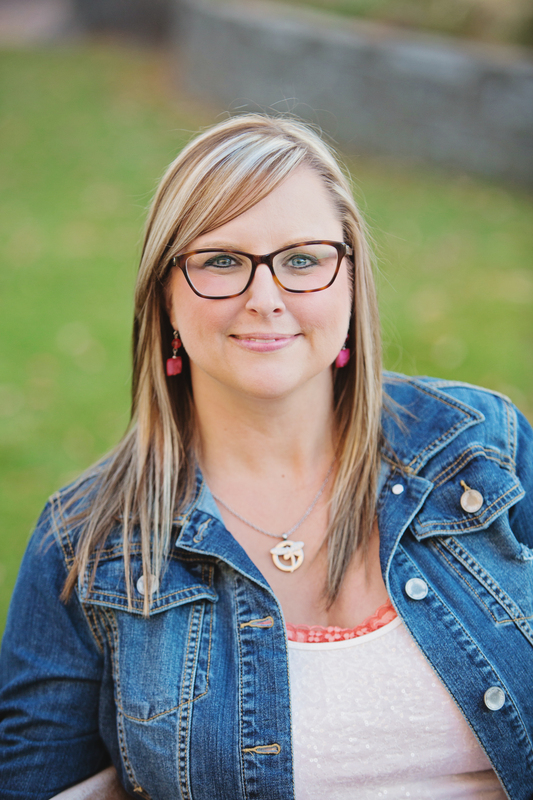 For more helpful information and links, you can follow me on Facebook, Twitter and Pinterest.